Refreshments start at 12 p.m. in the Class of 1941 Lecture Room. 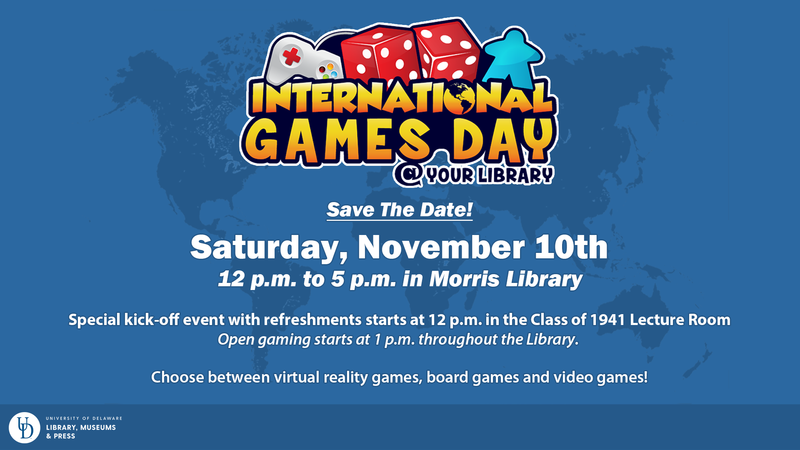 Open gaming starts at 1 p.m. throughtout the Morris Library. Choose between virtual reality games, board games and video games!